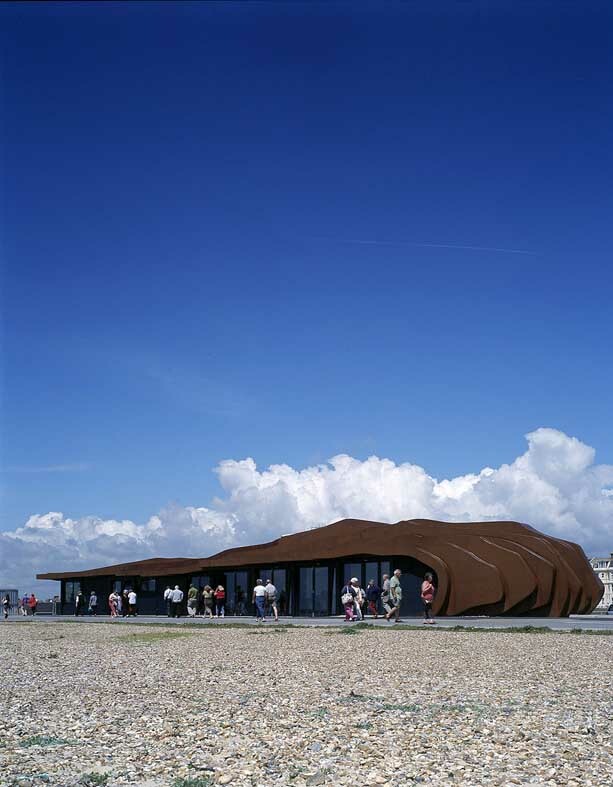 Heatherwick Studio was commissioned to design a café building to replace a seafront kiosk in Littlehampton, a traditional seaside town on England’s south coast. Exposed to weather and vandalism, the narrow site sits between the sea and a parade of houses. The studio saw its challenge as being to produce a long, thin building without flat, twodimensional façades. The building is sliced diagonally into ribbons which wrap up and over the building, forming a layered protective shell, open to the sea in front. The opening is filled with glass doors and windows, protected at night by roller shutters concealed within the building’s geometry, the 30 centimetre width of the ribbons being the dimension of a shutter mechanism. 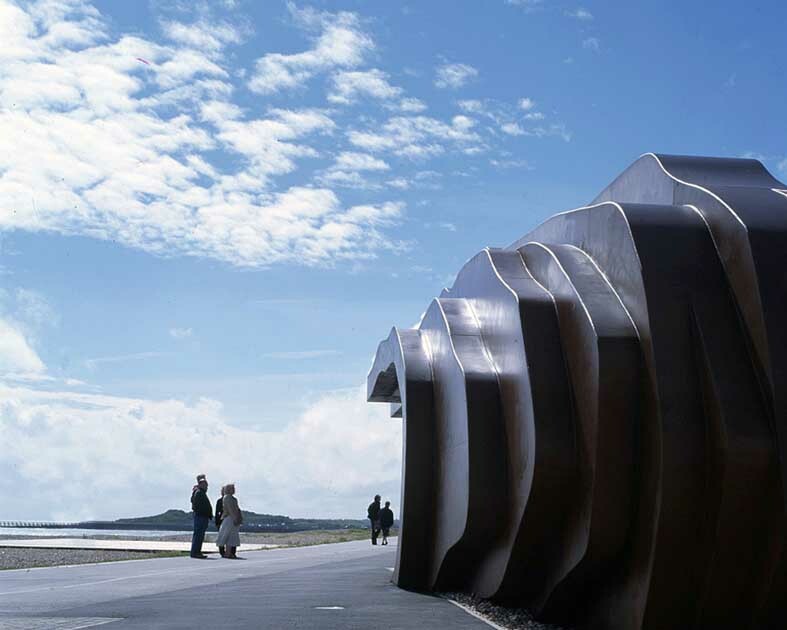 In contrast to the conventional white-washed seaside aesthetic, the building is raw and weathered, its structural steel shell finished with an oil-based coating that permits a rust-like patination to develop without affecting structural performance. A kiosk and cafeteria by day and a restaurant in the evening, the new café seats forty five.